Best of HOUZZ, 2019, 2018, 2017, 2016, 2014. Award-winning design experts in new construction & remodeling, we capture each client’s individual needs & lifestyle within budget. 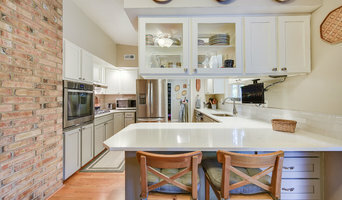 Kitchens, baths & whole-home renovations, beautiful furnishings. Wendy’s passion for design, art and architectural styles was ignited during her early days at UCLA and continues to be the energy and inspiration behind our studio’s designs be it modern, transitional, traditional or anywhere in between. We do not impose our designs on our clients, but rather get to the heart of the client’s goals, needs and preferences and are always happy to incorporate family heirlooms or personal collections. Also, our valued partnerships with contractors, suppliers and vendors allow us to complete all projects seamlessly from start to finish so our clients can sit back and enjoy the process. Our clients often remark on how well we listen and create a space that is beyond what they could have ever imagined. Our designs range from light and bright spaces that energize to dark and dramatic interiors layering beautiful fabrics, textures and artwork for one of kind results. Our designs have been featured in multiple issues of Portrait of Portland magazine, as well as Luxe Magazine, and we are proud of how happy we have been able to make our valued clients. Please visit wendyobrien.com for more projects, as well as media and accolades we have received. Your space should reflect your taste as well as your lifestyle. Whether you are a busy family household with the need for a large kitchen for everyone to gather in or an empty nester looking to create a soothing master bathroom, Interiors by Blackwood can fulfill each dream, each function of your home, with a space that functions the way you want. Her philosophy is simple: design should be fun. And, so should your designer. Linda finds design inspiration all around her – on a bridge, in a hotel, while strolling through an outdoor garden – which she infuses into her functional and beautiful design approach. Collections of magazine clippings, blog posts, and other bits of information provide ongoing insight and inspiration. Design, according to Linda, is everywhere. Linda believes the doors of opportunity are opened by fresh ideas and expansive thinking, and it is in this spirit that she meets every client where they are and every moment in the middle. Since 2004, Tobey Spitzer has been using her passion for design innovation and her experience in project organization to create and transform spaces. Whether you are planning a major home renovation or need to evolve your space to reflect a new chapter in your life, Tobey has the vision and skills to meet your needs. 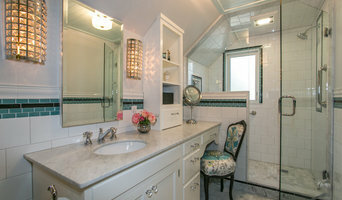 Tobey has an extensive network of contractors and craftsmen for projects at every scale, ranging from a small bathroom transformation to a total home renovation. They can provide the furniture, artwork and other finishing touches to make the space complete. Located in Portland, Oregon, Tobey Spitzer provides a full service interior design and project organization studio, creating and transforming spaces.